Neato vs Roomba - What's the best robot vacuum brand in 2019? There are so many robot vacuum brands in the market. 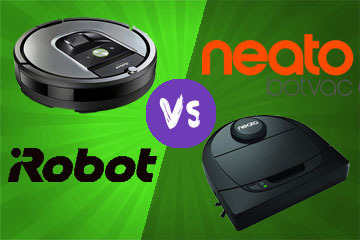 But the battle of the Titans pits two renowned brands: Neato vs Roomba. These two offer industry-leading technologies that encompass cleaning performance, to convenience features. Today, we want to assess the two brands to find out which is the best. We will review the top models that iRobot offers and compare them to what Neato Robotics offers. Of importance will be the individual features that we always consider when buying robot vacuums. Neato vs Roomba: WHO'S THE WINNER? So without further ado, here is an intro to each brand, and their popular models. We will also discuss the reasons why we picked the models. Roombas are manufactured by iRobot, an American brand that has been in business for two decades. Even though it started as a robotics provider, today it is known for house cleaning solutions. It boasts the Roomba series of robot vacuums and Braava series of robot mops. In today’s comparison review, we have reviewed three popular models: Roomba 690, 960 and the all-new Roomba i7+. Let’s see what each model has to offer. This vacuum has been designed to clean all bare floors, low pile carpets, and pet hair. The Roomba 690 is an excellent vacuum because it comes with Wi-Fi for Smartphone app operation and Alexa compatibility. Roomba 690 is very similar to Roomba 675, but it comes with a dual mode Virtual Wall barrier which the 675 lacks. If you are on a budget, this is an excellent purchase as it costs just under $300. It shares most of the features with the 980 save for Carpet Boost and a few additions to the app. The 960 has been designed for all bare floors, including hardwood, low to medium pile carpets, pet hair and allergens. It’s also suited for large apartments and high-traffic rooms courtesy of the resume function and iAdapt 2.0 VSLAM navigation. This is not an inexpensive model as it retails at around $700 but offers great value for money. This model’s top feature is the CleanBase self-emptying mechanism. While all Roomba’s and robot vacuums, in general, require frequent, manual bin emptying, Roomba i7+ empties itself. Another great feature is the iAdapt 3.0 navigation and mapping system. This is a VSLAM navigation system but with a new mapping system called Imprint Smart Mapping. 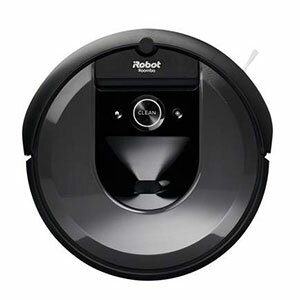 Roomba i7+ costs $950, but if you don’t want the CleanBase, you will get the Roomba i7 for $700. These three are the perfect competitors for a face to face comparison with Neato. But we still have other top Roomba models for example 890 which is an inexpensive model and the 980 with Carpet Boost which is the best overall robot vacuum. This is a brand that has been giving iRobot sleepless nights. While other brands just replicate the iRobot technologies, we have seen Neato come up with industry-leading technologies as well. Examples include fast charging, No-Go lines, 5GHz WiFi, among others. Today, we have reviewed three of Neato’s latest models: Botvac D5 Connected, Botvac D6 Connected, and Botvac D7 Connected. It comes with a more efficient motor than the D3 Connected and delivers around 700Pa. If you want the perfect blend of performance and affordability, the D6 Connected is an excellent choice. pet hair as well as allergens. Above all, it suits large apartments because of the two-hour runtime just like D7 Connected. This is the best model from Neato. It competes with Roomba 980 as the best models for carpets! The No-Go lines is also a great addition that allows homeowners to set boundaries by drawing the limits on the FloorPlanner. Another addition is 5GHz WiFi. Neato is currently focusing on the Connected series. The other two vacuums from the Botvac line are D3 Connected and the D4 Connected. Here is an overview of Roomba vs. Neato similarities. 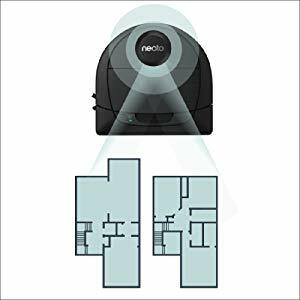 3-stage cleaning system – There’s no difference between the Neato SpinFlow PowerClean system vs. Roomba AeroVac and AeroForce cleaning system. They are all 3-stage cleaning systems (sweep, agitate and vacuum). 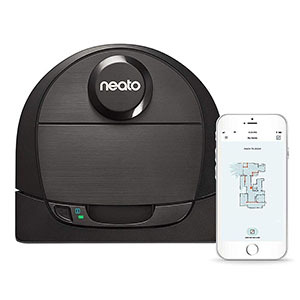 Smart connectivity – Both Roomba and Neato offer smart connectivity in their models. They all support WiFi and Alexa compatibility. 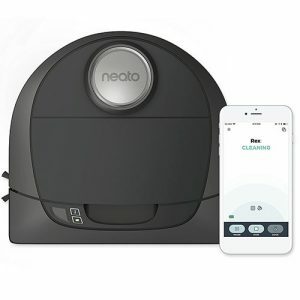 Schedule mode – Roombas and Neato vacuums can all be programmed to start cleaning at specific times. Listed below are the key differences between Roomba vs. Neato. Design: While all Roomba’s take the round shape, Botvac vacuums are D-shaped. Dual power settings – All Neato vacuums have low and high power settings (Eco and Turbo) mode. Roomba 690, 960 and i7+ have a single power setting. Dirt Detect – This is a revolutionary technology that finds dirt hotspots. Neato doesn’t have an equivalent. Virtual Walls – Roomba’s use Virtual Walls nodes to set boundaries. Neato uses physical markers or No-Go lines that don’t require any device. Recharge and resume – The three Neato models have the recharge and resume function, but only the advanced Roombas (960 and i7+) have resume function. Quick Boost – With Neato, you don’t have to wait for the long recharge times. It can get just enough charge to finish the cleaning task. Now, to the main business of the day. We want to compare all the important aspects shoppers consider when buying robot vacuums. The design determines where the robot will reach, and consequently, where it cleans. A low profile design is Paramount. Here, we take into account the thinness, and diameter of the robot vacuum and the weight. Roombas – iRobot vacuums are all round in shape but have different dimensions and weight. Roomba 690 stands at 3.7-inches high and has a 12.99-inch diameter. It weighs 7.8lbs. Roomba 960 measures 13.78-inches in diameter and 3.58-inches high. It is a little bit heavier at 8.5lbs. 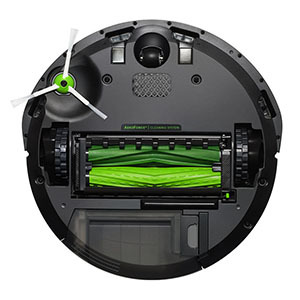 Roomba i7+ is 3.63-inches tall also, 13.34-inches diameter and weighs 7.44lbs. Roomba 960 is the best choice here because it is thinner, though wider. 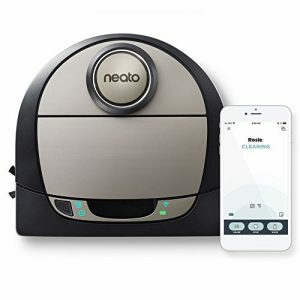 Neato Botvac – Neato robot vacuums are D-shaped, and this gives them the edge when it comes to cleaning wall edges and deep corners. The dimensions are also the same among the three models. All measure 13.21-inches by 12.56 inches. It stands at 3.92 inches and weighs 7.5lbs. As far as design is concerned, the battle is between Roomba 960 vs. all the three Botvac robot vacuums. Our winner is Botvac D7 Connected because of the D-shape design that cleans wall edges and corners more effectively than ordinary robot vacuums. 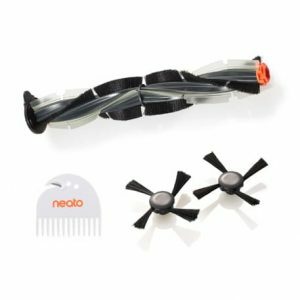 Neato is also lighter compared to Roomba’s and has a shorter edge meaning it passes between tighter spaces seamlessly. There are three types of motors: 1st, 2nd and 3rd Generation motors. Their performance is measured in Pascals. 1st Gen motors (500-700Pa) are ideal for bare floors only. 2nd Gen motors (800-1300Pa) are best for bare floors and low pile carpets. There are also models that can ring in two power settings (high power and low power). iRobot – Roomba models bear all the three types of motors. Here is how they compare. 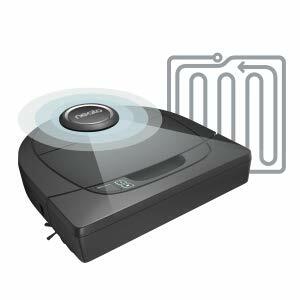 Roomba 690 boasts a 1st Generation motor that delivers around 550Pa. This is just enough to handle bare floors like hardwood and the light dirt, for example, pet hair, cereals, kitty litter and so on. Roomba 960 has a 2nd Generation motor that runs in only one power mode. It delivers around 1000Pa which gives it a boost on low pile carpets and bare floors. On medium pile, performance is average. Roomba i7+ comes with a 2nd Generation motor as well that delivers 1000Pa. Roomba i7+ and Roomba 960 are the best here. I’d, however, go for the cheaper Roomba 960. Neato Robotics – Botvac robot vacuums also sport the three motors. Botvac D5 Connected comes with a 2nd Generation motor that runs in two power modes: Eco & Turbo. The output ranges between 800-900Pa. This vacuum is suitable for bare floors and maybe light, low pile carpets. The D6 Connected is not different from the D5 and also sports the same 2nd Generation motor with an output between 800-900Pa. It also runs in two power modes and suits bare floors, and low pile carpets. The D7 Connected comes with a much-improved Generation 3 motor that runs in two power modes as well and delivers 1300-1500Pa. It is suitable for both bare floors and carpets (low and high pile). Neato D7 has the best motor performance compared to the D5 and D6. In the contest between Roomba vs. Neato, it’s the latter that wins the battle. 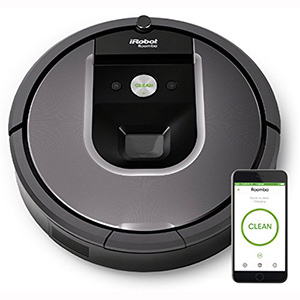 The Neato top model in today’s discussion, Botvac D7 Connected has more suction than iRobot’s top model Roomba i7+. Robot vacuums come with a primary brush that is under the cleaner. There may also be a single or two side brushes for sweeping the path of the vacuum. An antitangle system is also an important consideration if you have long-haired breeds. Roombas are famous for dual multisurface brush system. One brush is for agitation and the other one for picking up dirt. 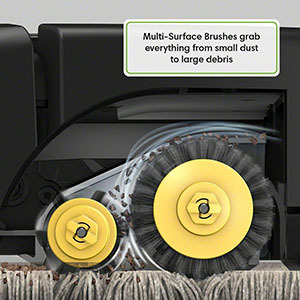 Roomba 690 comes with a dual multisurface bristle brush. It does a great job on bare floors and carpets. The only problem is tangling. There is also a single side brush. Roomba 960 and i7+ has dual multisurface rubber extractors. They are best for bare floors, especially hardwood and last longer compared to bristle brushes. There is an anti-tangle system making it good for pets. We also have a single side brush. When it comes to Roombas, the battle is between a bristle brush vs. rubber extractors. Roomba 960 and i7+ are the winners. Neato robots also feature a primary brush and a side brush. Botvac D5 Connected has been designed with a stiff combines brush to suit both soft and hard floors as well as carpets. It also has a side brush. Botvac D6 and D7 Connected both come with an 11-inch wide spiral combo brush. The spiral design ensures no hair tangles the brush. There’s also a single side brush. Here, it’s the D6 and D7 that carry the day and will be out to face Roomba’s dual multisurface brush system. Roomba vs. Neato: It is hard to call the winner in this contest. Both brush systems work well, but we would stick to Roombas dual multisurface as it is more specialized. Robot vacuums are synonymous with HEPA filtration. You will find terms like high efficiency, ultra-efficiency and so on. What’s important here is the grade of HEPA filter used. 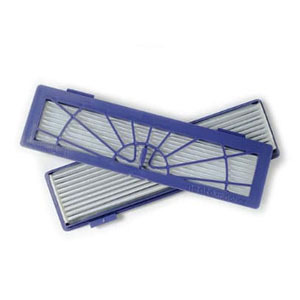 True-HEPA filters are 99.97% efficient while the efficiency of HEPA-style filters ranges between 85-90%. 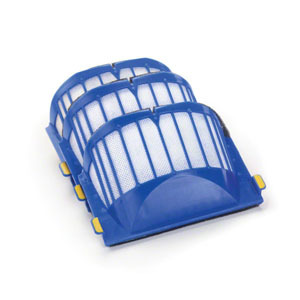 Some iRobot vacuums have HEPA-style filters while others have true-HEPA filters. Roomba 690 comes with the AeroVac cleaning system. 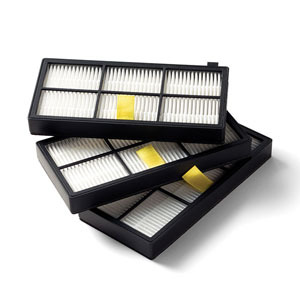 This system uses HEPA-style filters, so it’s not the best for allergy sufferers. 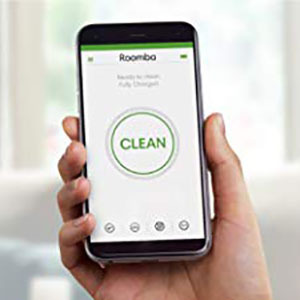 Roomba 960 has the improved AeroForce cleaning system and among the new features in true-HEPA filters. Roomba i7+ also has the AeroForce cleaning system that also features true-HEPA filtration. For allergy sufferers, the best Roomba is one with AeroForce filtration. That makes Roomba 960 and i7+ the winners. Neato robot vacuums come with both type of filters depending on the model. Neato Botvac D5 Connected comes with a HEPA-style filtration system branded as high-efficiency. The D6 comes with true-HEPA filters. The new D7 Connected also has true-HEPA filters. iRobot loses points here now that the Roomba 690 has HEPA-style filters. But all the advanced models from each brand boasts true-HEPA filtration. Among Roomba’s exploits is Dirt Detect. This is a feature that finds where there is concentrated dirt and puts the vacuum to Spot mode. We have Dirt Detect Series I which uses acoustic sensors to find dirt. It is less effective to Dirt Detect Series II that combines acoustic and optical sensors for better accuracy. Roomba 690 comes with Dirt Detect Series II. Roomba 960 and i7+ have Dirt Detect Series II. That makes them the best. Neato Robotics doesn’t have a similar feature but has Spot mode that is activated manually. Roomba is the winner as it features Dirt Detect. The capacity of a robot vacuum’s dustbin is vital. The full bin indicator also makes it easier for homeowners to know when it’s time to empty the bin. Roomba 690 comes with a 0.3L bin and no full bin indicator. Roomba 960, on the other hand, has been designed with the same 0.3L bin and also features a full bin indicator. Lastly, the Roomba i7+ comes with a larger 0.5L bin. 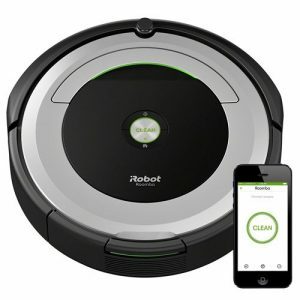 Gladly, the i7+ comes with the iRobot CleanBase. 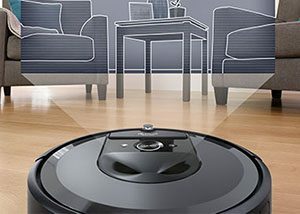 If you want a standalone option without CleanBase, the Roomba i7 is your model. Between the Roomba’s, it’s the i7 series that carries the day because of the larger 0.5L bin. All have large 0.7L bins. But there is no full bin indicator. As far as bin capacity is concerned, Neato models carry the day but unfortunately, they don’t have full bin indicator. Roombas have smaller bins but come with a full bin indicator except for the Roomba 690. However the self-emptying mechanism makes Roomba the superior brand. No other model can emulate what Roomba i7+ does. The motor’s efficiency determines the operation noise of a robot vacuum. This noise is measured in decibels (dB). So, which between these two brands offers quiet operation? Roomba 690 operates at around 68dB. Roomba 960 and i7+ are a little bit quiet at 65dB. Amongst Roomba’s, it’s the i7+ and 960 that are the best. Neato Botvac D5 Connected and D6 Connected produce around 60dB in Eco mode while in Turbo it’s 64dB. Botvac D7 Connected operates at around 67dB in Eco mode and 71dB in Turbo mode. Here, the Neato D7 Connected is not a favorite. D5 and D6 Connected are the best. Botvac models have a quiet operation because of the low power mode. The autonomy of robot vacuums revolves around the battery capacity, runtime, recharge time and power management. The life cycle of the battery is also a concern. Roombas are best known for their Lithium X-AMPlified battery technology that extends the life cycle. However, runtime and power management differ. Roomba 690 comes with a 1800mAh battery that lasts it for 60 minutes. The vacuum recharges automatically but doesn’t resume cleaning after recharging. The recharge time is 2-3 hours, and the life cycle is around 18-24 months subject to usage. Roomba 960 and i7+ come with a 2600mAh battery that lasts them for 75 minutes. The robot recharges for 2-3 hours and resumes cleaning after recharging. The life cycle is just the same as the 690 at 18-24 months. Here, the battle is between Roomba 960 vs. i7+. They all have the same battery capacity, runtime, recharge time and even life cycle. That said, it is a tie between Roomba i7+ and 960. Neato Botvac has better battery performance. Here is how the models compare. The Botvac Connected D5 comes with an efficient lithium-ion battery that lasts it for 100 minutes in Eco mode and 90 minutes in Turbo mode. The recharge time is 2-3 hours, and it will resume cleaning automatically. The life cycle is around 18-24 months just like Roomba. The D6 Connected slightly improves the runtime to 120 minutes in Eco mode and 100 in Turbo mode. The recharge time is still 2-3 hours, and it also resumes cleaning after recharging. A new feature is Quick Boost that can recharge the vacuum shortly just to complete the cleaning, instead of waiting for the entire recharge time. As for the D7 Connected, this is the real deal with a runtime of up to 150 minutes in Eco mode and 120 minutes in Turbo. All this is courtesy of a 4200mAh battery that recharges for 2-3 hours as well. This vacuum supports resume function and Quick Boost as well. Definitely, Botvac D7 Connected wins this battle because of the longer runtime. Here, it is all about runtime and resume function. Neato is the best choice because even the D5 Connected resumes cleaning. Neato vacuums runtime is also longer, and they also support Quick Boost when Roombas have to recharge for the entire 3 hours before resuming cleaning. Two technologies form the basis of the navigation and mapping system of robot vacuums. SLAM (Simultaneous Localization & Mapping) which relies on drooling and obstacles sensors only. On the other hand, advanced models have VSLAM ( Visual Simultaneous Localization & Mapping). This system uses sensors and a real-time camera which significantly improves accuracy in high traffic rooms. Roomba 690 has been designed with iAdapt 1.0 which is SLAM-based. There’s no elaborate floor scanning and mapping system, so it moves in a random pattern. Consequently, it’s not best for high traffic rooms and large apartments. Roomba 960 is the cheapest Roomba model with iAdapt 2.0 VSLAM navigation. It’s best for high traffic rooms because of the improved localization. Smart floor mapping makes it for large apartments. Roomba i7 and i7+ have the new iAdapt 3.0 VSLAM navigation. It is also best for high-traffic rooms. The only addition is the Imprint Smart Mapping. This gives homeowners better control of their cleaning. In Roomba’s navigation and mapping contest, Roomba i7+ is the real deal. The Roomba knows every room of your house. You can tell it to clean the kitchen on, and it will do so. When it comes to Neato, expect nothing much as far as navigation is concerned. But there is an excellent improvement in floor mapping and scanning. Botvac D5 Connected comes with a LaserSmart navigation which is SLAM based. There is no elaborate floor mapping and scanning, so it’s not best for large apartments. In high-traffic rooms, reduce clutter before starting it. There is “Find Me” for locating it when it is stuck. The D6 Connected is also SLAM based. But a new addition to this model is the Multiple Floor Plan for homeowners with two-storeyed houses. We also have ‘Extra Care’ setting for use in houses with high-traffic and fragile furniture. There’s also ‘Find Me’ that tells you when the robot is stuck and where it got stuck. The D7 Connected is the latest model. One of the shortcomings is that it still has SLAM navigation (LaserSmart). But it has ‘Extra Care’ mode and Multiple Floor Plan function. It also has ‘Find Me’ so you’ll easily locate it when it gets stuck. As far as navigation and mapping is concerned, the battle is between Botvac D5 vs. D6 vs. D7 Connected. They have the same features, so it’s hard to call a winner. The VSLAM navigation in Roomba 960 and i7+ makes iRobot the best choice, especially if you have high traffic rooms But for large apartments, it’s a tie because Imprint Smart Mapping in Roomba i7+ is just the same as Neato’s FloorPlanner. This is a technology that helps homeowners to restrict their vacuum cleaners. The most important thing is to consider the means of setting the boundaries. We have physical barriers and invisible barriers. Roomba 690 comes with Virtual Walls, but it comes with only one node. You need to purchase another node for effective boundary marking. Roomba 960 also comes with Virtual Walls but with one node as well. For its price, we expected it to come as a pair like Roomba 980. The Roomba i7+ also works with Virtual Walls and disappoints as well with one dual mode Virtual Wall barrier. As far as Roomba 690 vs. 969 vs. i7+ are concerned, there is no winner here. Neato Robotics combines physical barriers as well as invisible barriers. The D5 Connected initially came with 13ft. of physical markers only. But with wireless updates, it now works with No-Go barriers. The D6 Connected and D7 Connected work with No-Go barriers and also includes physical magnetic barriers. Amongst the Neato vacuums in our comparison, there is no clear winner. They all have the same features as far as boundary marking is concerned. But the ‘Find Me’ feature makes the D6 and D7 a cut above the D5. The battle here is between Virtual Walls vs. No-Go barriers. The best is Neato No-Go barriers because there are no physical devices needed to set up boundaries, leave alone the extra node. You just need to draw a boundary on the app’s FloorPlanner feature. Neato and iRobot vacuums can be controlled from the Smartphone app and also using voice control assistants. But this is not a standard feature for all models. Roomba 690 comes with 2.4GHz WiFi for Smartphone operation and Alexa compatibility. Roomba 960 comes with WiFi as well and is operated via a Smartphone app and also voice controls like Alexa and Assistant. 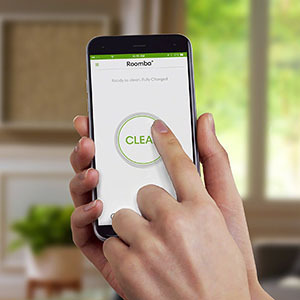 Regarding the app features, it comes with CleanMaps and supports iRobot’s wireless updates. Roomba i7+ comes with WiFi and Alexa compatibility and a host of new app features apart from Clean Maps. A new addition is advanced cleaning settings. The Imprint Smart Mapping is also an excellent addition for smart home enthusiasts. 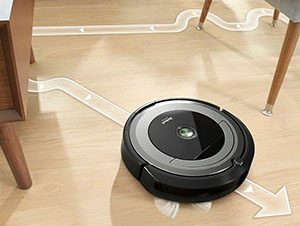 As far as Roomba is concerned, the i7 is the winner because of the advanced cleaning settings and Imprint Smart Mapping. 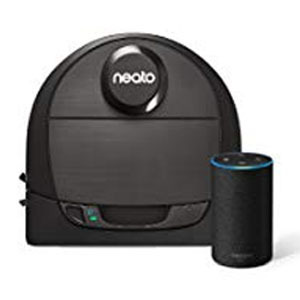 Neato vacuums also have smart connectivity (WiFi and Alexa compatibility). The company also offers 5GHz WiFi for some models. Neato Botvac D5 Connected, and D6 Connected come with WiFi. They can be operated via the Smartphone app, Alexa, Google Assistant, among other integration. Also included is FloorPlanner for customized cleaning. The Botvac D7 is quite similar to the D5 and D6 in that they all have Wi-Fi and Alexa compatibility. The app features are also solar, but there’s one addition called Zone Cleaning. You can set areas where you want intensive cleaning, for example, the kitchen or the pets’ feeding area. 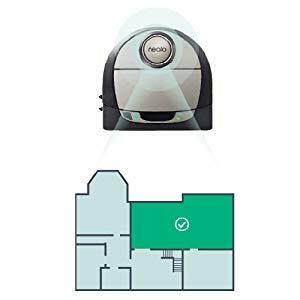 The competition here pits Roomba Imprint Smart Mapping vs. Neato FloorPlanner These two features are all similar. However, Neato wins this battle because all the three Neato vacuums have FloorPlanner. In the case of Roombas, only Roomba i7+ has Imprint Smart Mapping. Neato vs Roomba: WHO’S THE WINNER? Now, we’ve come to the close of this Roomba vs. Neato comparison review. To be honest, each brand has its advantages and disadvantages as well. 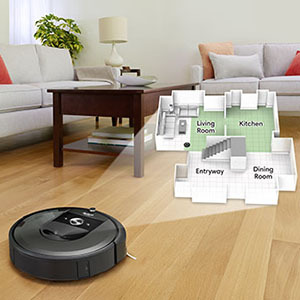 VSLAM navigation – Roomba 960 and i7+ come with VSLAM navigation system which is more accurate and efficient in high traffic rooms and large apartments. 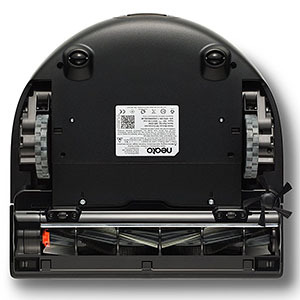 Self-emptying bin – Roomba i7+ doesn’t require frequent bin emptying. The CleanBase system does the job for almost the entire month. Dirt Detect – This is an intelligent feature that finds where there is concentrated dirt and switched to Spot mode automatically. Neato doesn’t have an equivalent. Affordability – Neato vacuums are cheaper compared to Roombas and offer better value for money. Autonomy – The three Neato robot vacuums have longer runtime generally and resume cleaning. Quick -Boost feature is also an essential feature for high traffic rooms. No-Go Lines – This is by far the easiest boundary marking technology. You just need to draw a line on the app: no physical markers or Virtual Walls nodes. FloorPlanner – All Neatos have FloorPlanner while for Roomba’s, it’s on your available in the Roomba i7+. The above reasons are critical when choosing between Roomba vs. Neato. However, to get real value for your money, you need to consider your immediate cleaning needs. Do you have hardwood floors? Here, we will guide you on the best brand to buy for each cleaning need. Pet hair and allergens – Roomba vs. Neato? Here there are two critical aspects to consider. 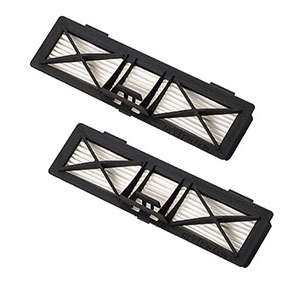 First is true-HEPA filters for capturing the allergens, for example, Fel D1 protein, found in cat hair. Second, a tangle-free brush system is vital to prevent tangling. Roomba and Neato have some great models for this task. If you have pets, but the Neato D6 or D7 and if you are for Roomba, the Roomba 960 and i7+ are suitable. Carpets – Roomba vs. Neato? The low pile carpets are not hard to vacuum and require less suction power (about 500-800Pa). However, high pile is vacuum power intensive (1500Pa). Here, Neato wins the battle courtesy of the Botvac D7 Connected that delivers 1500Pa. Roomba 980 is also a great deal, but it’s not in our comparison today. Even the basic robot vacuum with average suction power will handle bare floors with ease. However, for hardwood floors, get a soft bristle brush to ensure the fragile floor is not scratched. 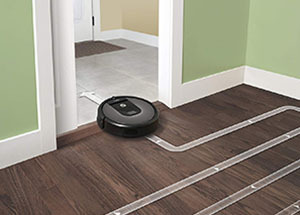 When it comes to high traffic rooms, Roomba’s VSLAM navigation carries the day. Here, the best choice is Roomba 960 and i7+. As for Neato, the SLAM navigation is not very accurate even though there is the Extra Care setting for high traffic rooms. In large apartments with many rooms, you need an efficient floor mapping system. Here, we have a tie between Neato and Roomba. The debate is around Roomba i7+ Imprint Smart Mapping vs. Neato Botvac D6 and D7’s FloorPlanner. That’s all we have for this Neato vs Roomba robot vacuum comparison review. What’s your best choice? Is it Roomba or Neato? 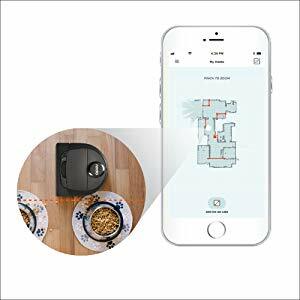 After testing different models for a month, I determined Neato Botvac D7 Connected is the best mapping robot vacuum for most people because it never gets stuck thanks to its in-app No-Go Lines. However, if you have a simple home layout and aren’t bothered by virtual barriers on the floor, Roomba 980 is a decent option too. It doesn t use the previously-acquired maps to adjust the routes because the maps are deleted from its memory after each clean. Each time it starts its run, it takes a different path, and it doesn’t remember your house. The mapping Roombas are smarter than other robots, but conversely, Neato uses the previous data and takes a similar route each time.